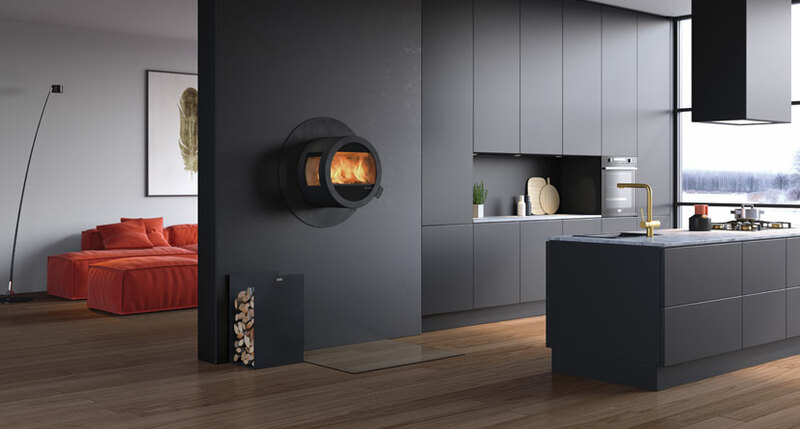 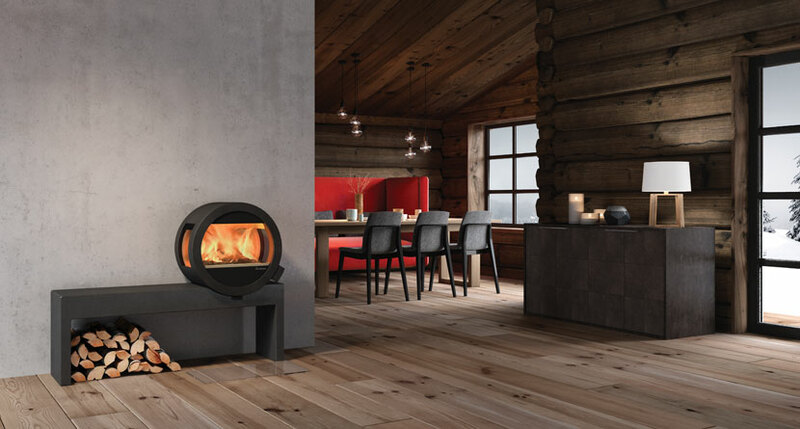 Few wood burning stoves offer so many inspiring fitting options, and the wealth of choice is testament to the ME’s versatile design. 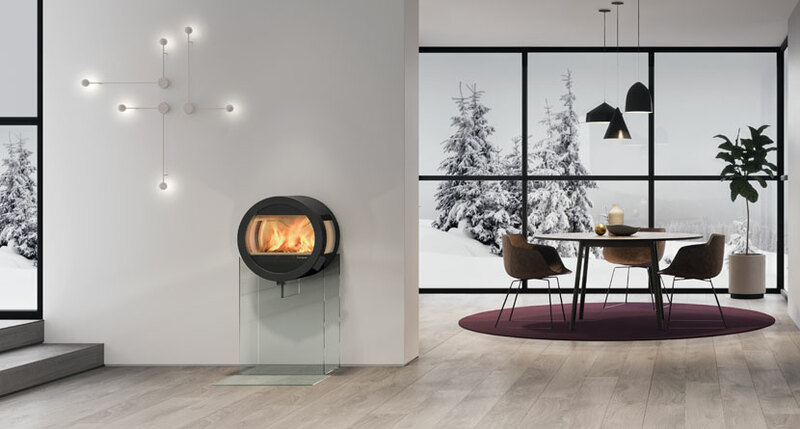 Choose from pedestal, steel log store stand, benches, or wall-mounted options – with stylish clear glass stands also available. 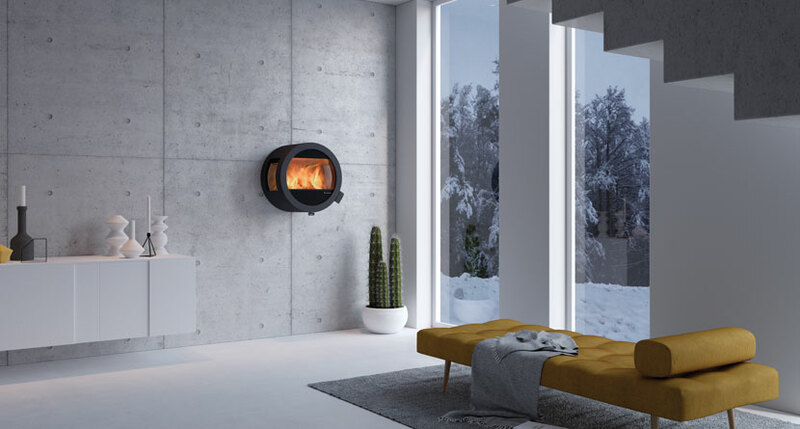 There is even the option of a ceiling hung version, for a statement stove installation. 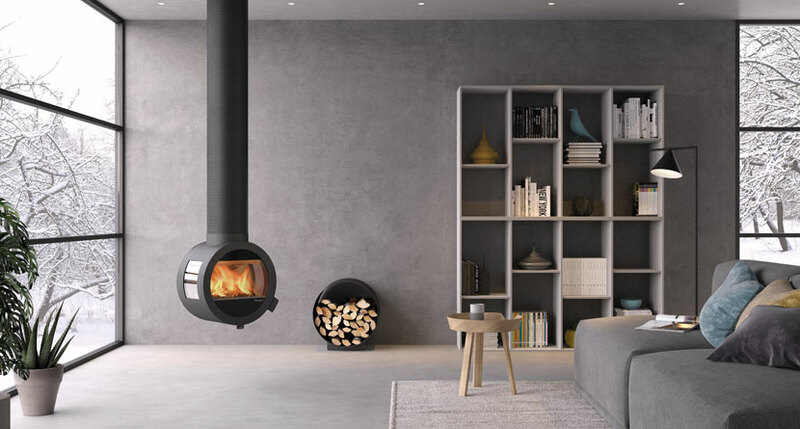 Each mounting option transforms the ME, letting you choose the perfect combination for your home. 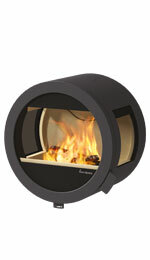 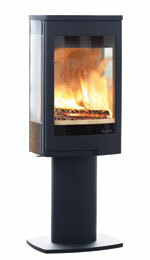 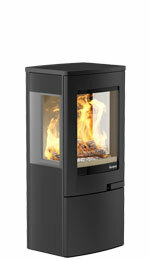 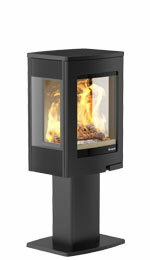 The ME is offered in two versions, including a side-windowed model for panoramic flame visuals. 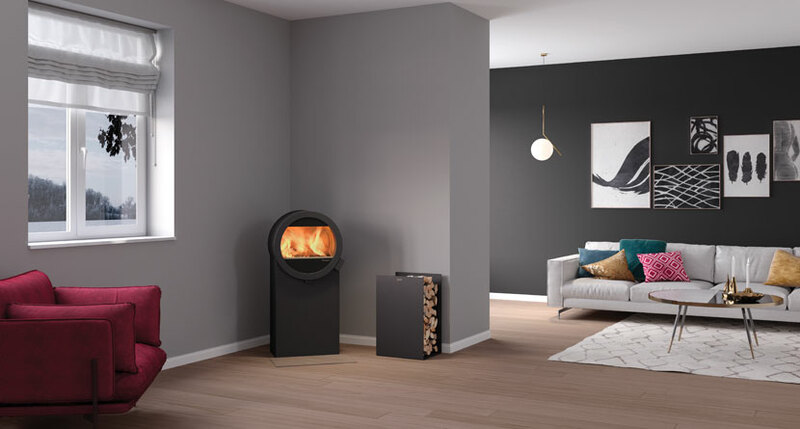 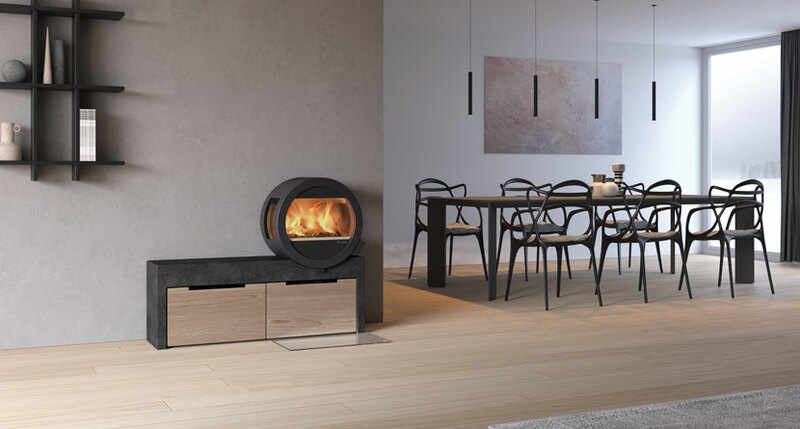 Both feature Nordpeis’ advanced combustion technology, which provides a high efficiency, 5.8kW heat output, with the option of an external air supply to minimise internal draughts.